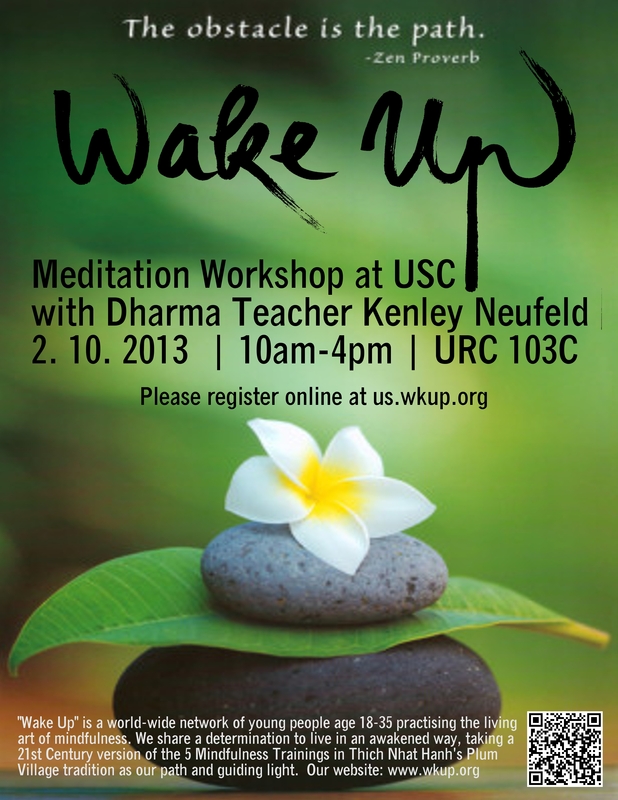 In conjunction with Wake Up!, I will be leading a Mindfulness Workshop at USC in Los Angeles on Sunday, February 10 for young adults ages 17-35. Learn more and register online. Space is limited.